This year is the Year of Pig. 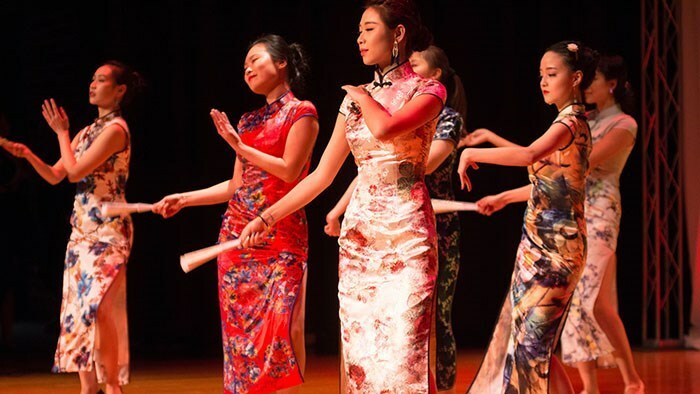 To celebrate Chinese New Year, Chinese Students and Scholars Association (CSSA) will host a banquet and show. Dinner begins at 5:30 p.m. in PSU Ballroom, followed by the show at 7 p.m. in PSU Theater. Come and enjoy authentic Chinese dishes and a wonderful show performed by our talented Chinese students. General admission tickets: $15. Tickets are available for purchase in Carrington Hall, Room 210, on the second floor of PSU and in Glass Hall. $5 of each ticket supports the CSSA scholarship fund. $15; Tickets are available for purchase in Carrington Hall, Room 210, on the second floor of PSU and in Glass Hall.